New Delhi: While government hospitals are indeed aspiring to become green and establish energy saving measures in improve functioning, the effects of the efforts seem to be falling dim, a suggests a recent incident of robbery of solar panels in the capital. The civic body officials found 12 Solar Panels, worth Rupees 40 lakh to be stolen from Delhi government’s Sushruta Trauma Centre (STC) in a recent visit for the inspection. The solar panel that was placed on the rooftop of the trauma centre was spotted to be stolen. The STC is a part of Delhi’s government biggest tertiary care Lok Nayak Hospital, which manages the functioning of the trauma centre. A surprise inspection took place when officials came to check mosquito breeding in the different areas of the centre where the broken glasses from the solar panel was spotted, confirming the theft happened at the place. The officials of the trauma centre were immediately informed about the suspected activity pointing towards the security concern of the centre. The Lok Nayak Hospital’s public works department (PWD) wrote to the medical superintendent of the trauma centre to take account of the incident that happened because of the bad management of the security agency responsible for the alleged incident at STC. The PWD department also asked for strengthening the security in the area so as to avoid similar happenings in future. Dr Ajay Bahl, the additional medical superintendent had a conversation with Mail Today talked about the incident confirming that the security issue had been taken into account and CCTV cameras will be installed in the hospital. “We have taken serious action in this matter and lodged an FIR at the Civil Lines Police Station. When we checked the CCTV footage, we found that the theft had taken place on August 15. 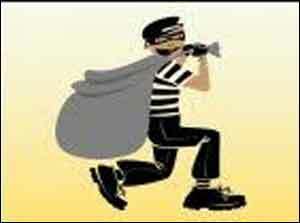 Now, the police have arrested the robbers and strict action will be taken against them,” he told the daily. SIMILAR THINGS HAPPENED THE PLACE WHERE I AM WORKING , BUT IT NEVER MADE A NEWS. GOODS WORTH CRORES OF RUPEES WERE SYPHONED OUT , THERE WAS AN ENQUIRY CONDUCTED BUT NO BODY WAS PUT BEHIND THE BARS. I THINK THERE IS IMMUNITY FOR GOVERNMENT EMPLOYEES HAVING POSITION, POWER , INFLUENCE & CAPACITY TO BRIBE CAN EASLEY GET OUT OF THE PROBLEMS . I THINK MOST OF MONEY GOES THROUGH THE DRAIN IN GOVERNMENT. AS RIGHTLY TOLD BY LATE RAJIV GANDHI & HIS SON IN SEVERAL PUBLIC MEETINGS , OUT OF 100 RUPEES SENT / SPEND BY THE CENTRE HARDLY 15% REACHS THE BENIFISCIARY . WITH THIS KIND OF GOVERNANCE , INDIA CAN NEVER BE ECOMICAL POWER , ONLY COUPLE OF BUSINESS MAN, INDUSTRIALISTS, BABUS THE BUEROCRATES & THEIR BOSSES & CROOKS AND CRIMINALS CAN BE RICH . MORETHAN 30% WILL REMAIN POOR FOR EVER, 50 % REAMIN MALNOURISHED, 30 % CHILDREN HAVE STUNTED GROWTH, OUR HAPPYNESS INDEX AND PARAMETERS WILL REMAIN AT BOTTOM HALF ON PAR WITH PAKISTAN, BANGLADESH & OTHER AFRICAN COUNTRIES. ONLY 15% OF OUR REACHING BENIFISCIARY IS NOT ONLY A NATIONAL SHAME BUT CRIME AGAINST THE HUMANITY.